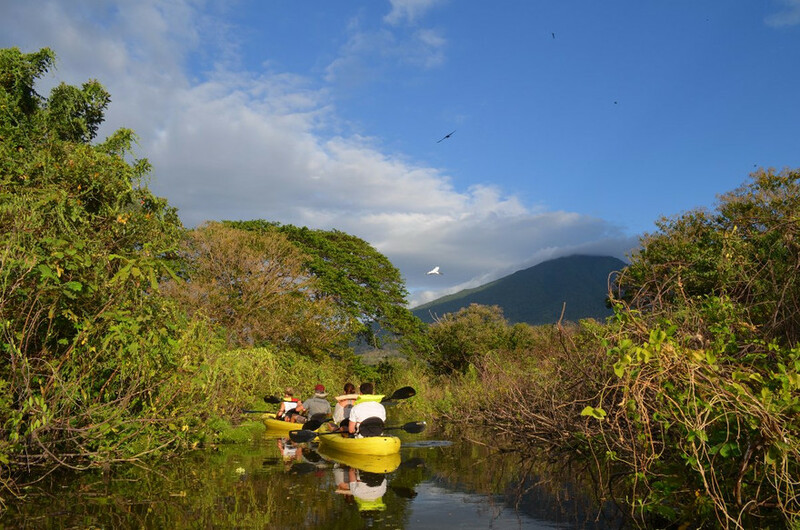 Nicaragua tours will take you to a land of lakes and volcanoes, islands and beaches, and towns and cities rich in historic sites. 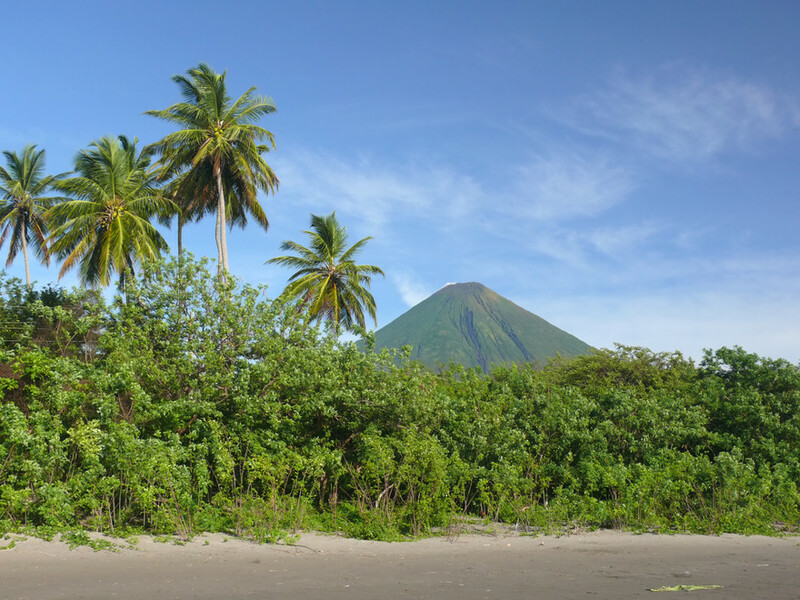 Discover the colonial heritage of Leon and Granada, explore active volcanoes on hikes, go on other adventures, see wildlife, and escape to the blissful beaches of the Caribbean and the Pacific. 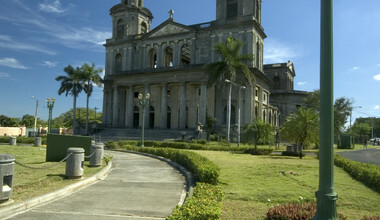 Set forth on Nicaragua tours to explore the beaches of the Caribbean and the Pacific along with charming colonial towns. Lucia provided us with incredible service! Not only did she capably put our last minute request together for this trip but she also had all of the de..."
From the colonial gems of Leon and Granada to the pristine Pacific and Atlantic coasts, if you travel Nicaragua you'll find it impossible to leave. 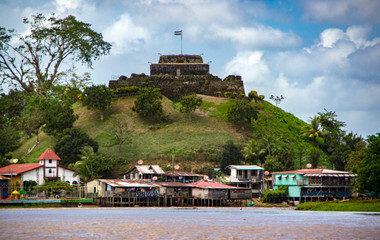 Visiting Nicaragua's quaint colonial towns will, apart from falling in love with the UNESCO architectural beauty, be a pleasant stopover in between either hiking Telica volcano or taking surfing lessons on the beautiful San Juan del Sur surf town. 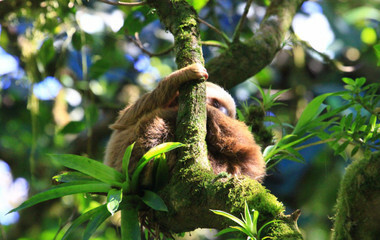 Either way, tours of Nicaragua can appeal to adventure travelers and tourists enthused by its colonial history. 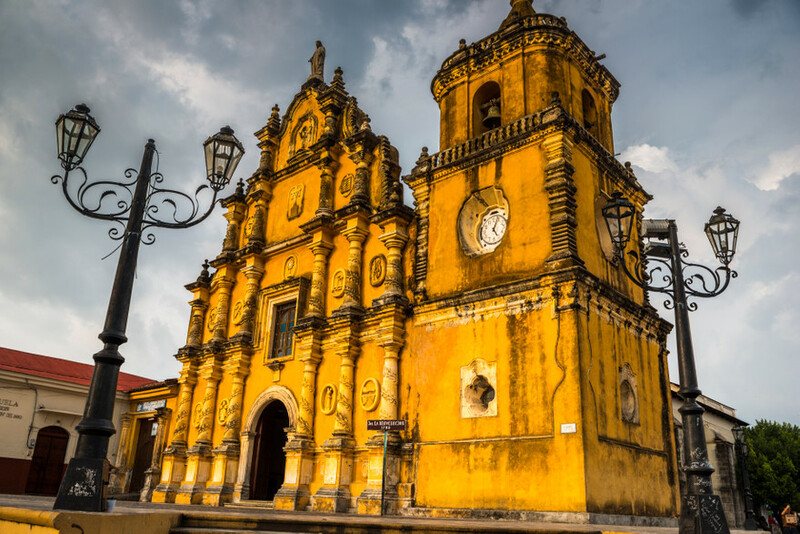 From climbing majestic volcanoes to strolling aimlessly through unimaginably beautiful colonial towns, Nicaragua tours offer you the chance to view the romantic side of Latin America that you so often dream of. 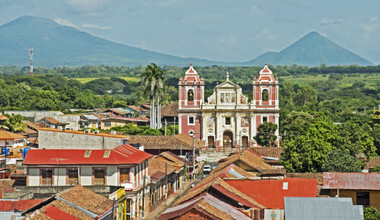 Nestled in between mountainous Costa Rica and the vast border of Honduras, in the very center of Central America, Nicaragua almost inevitably features on all routes through Central America. 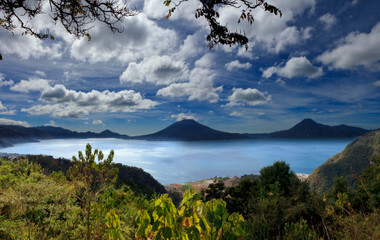 it is only after a visit, however, that you will come to realize the impact that charming Nicaragua has on you. 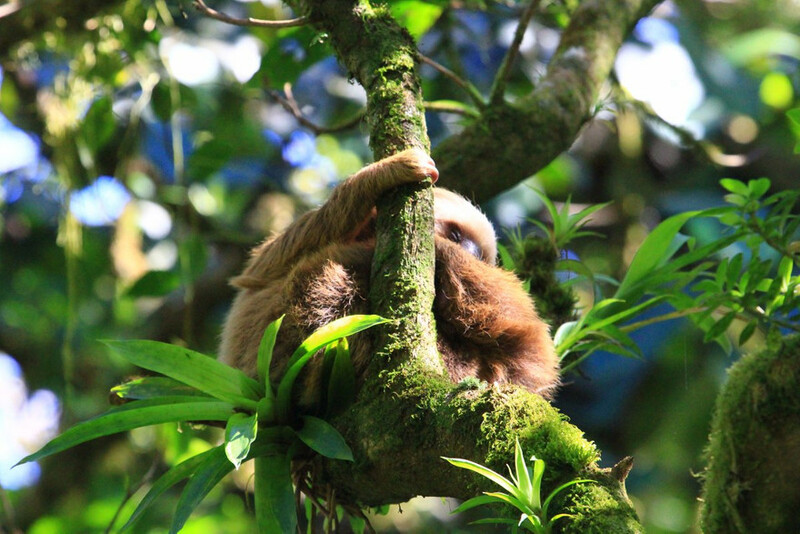 Nicaragua tours are simply incredible. 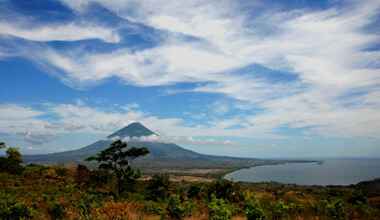 A backpackers paradise, Nicaragua’s old-world splendor, blended with its spectacular nature and landscape, make for epic tours, not only for the trekking enthusiasts but also for history-lovers, beach-bums, and photographers alike. As the oldest city in the modern world it’s no wonder that Granada appeals to those in search of colonial architecture and a languid way of life. As you relentlessly stroll at your own pace through the myriad of cobbled streets and crumbling architecture you will encounter the sporadic display of opulence; A collection of regal buildings that Granada has retained from the days of Spanish colonization. 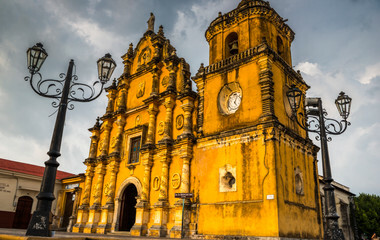 On your Nicaragua tours, you will inevitably leave your heart behind in colonial León, a city containing everything that capital Managua should contain but condensed into this small, magnetic colonial town with a bustling nightlife and tight backpacker scene. León welcomes all visitors with open arms and a very relaxed atmosphere that you can’t help but feel overwhelmed by. Situated close to the pacific coast, León also acts as the perfect base to explore the delights of the Pacific ocean, only to return and again feel right at home with the splendor and hospitality of picture-postcard León. Looking for the ultimate authentic Caribbean island getaway? Well, Nicaragua may just be home to what you are looking for. The Corn Islands, and in particular the Great Corn Island, provides all the qualities of well-developed Caribbean islands but with a true, authentic spirit that has an untouched feel. Walk barefoot to all the local beach bars, join the happy locals on a fishing trip to get today’s catch, pick up a baseball bat and score a home run in the sand, or just people watch with the elderly and absorb the terrific atmosphere and picturesque landscapes. 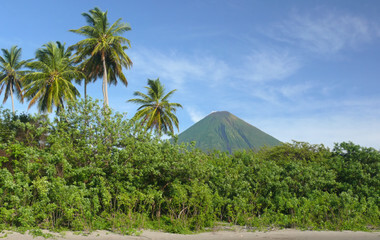 The Corn islands add a whole new dimension to Nicaragua tours. 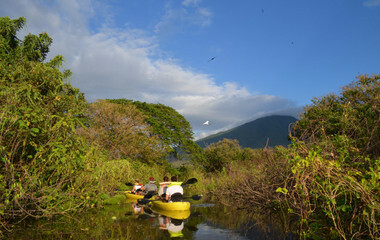 Nicaragua also offers the unique chance to climb an active volcano and the best opportunity for this is at the Parque Nacional Volcán Masaya. As the most heavily venting volcano in Nicaragua, the Spaniards proclaimed this volcano to be the “gate to hell”, but now there are tours that include a drive to the very lip of the volcano. With more than 20km of hiking trails and a sensational array of scenery on display, the Volcan Masaya National Park is a must-see. 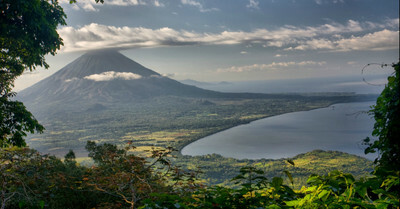 What time of the year is it best to visit Nicaragua? High season in Nicaragua is between December and March but the overall best time to go is anywhere between November and April. Winter, and generally the season to avoid, would be between May and October. The fundamental basis of Nicaraguan gastronomy is corn. Many dishes, and even drinks, are made from corn, probably Central America’s main ingredient. Rice and beans are another strong contender for most consumed ingredients in Nicaragua, Gallo Pinto being consumed almost daily by the locals. Since Nicaragua also has an expansive coastline there is an abundance of fresh seafood restaurants along both the vast expanse of Atlantic coast and the Pacific coast. Fresh fruit is another thing to take advantage of on your Nicaragua tours. Cheap and easy to get hold of, why not delve into the great selection of mango, jocote, papaya, bananas, tamarind and avocado. A fusion of pre-Colombian traditions merged with the influence of British and Spanish colonialists have had a big impact on the religion of Nicaragua along with it’s fight for freedom and independence. The country is known as the land of poets, and Nicaraguan poet Rubén Darío is the father of the Spanish-American literary movement, Modernism. Lucia provided us with incredible service! Not only did she capably put our last minute request together for this trip but she also had all of the details in place by the time we arrived a week later. The degree of communication with Lucia, once the trip was organized, was above and beyond our expectations. She phoned us every 2 or 3 days to make sure everything was fine. Thanks to her proactive and efficient planning, we did not run into ANY problems but felt more than confident that Lucia would have been just a phone call away to assist us with any difficulties we may have run into. We enjoyed our trip immensely. All the guides and drivers were GREAT as were all of our accommodations.